The grill of the 3 upper balconies seem a little "annoyed". Don't you think? What a great looking building with a most unusual color. I love those corner balconies. I like the wrought-iron railings as well as the glass shapes in the windows. An interesting and different building!! 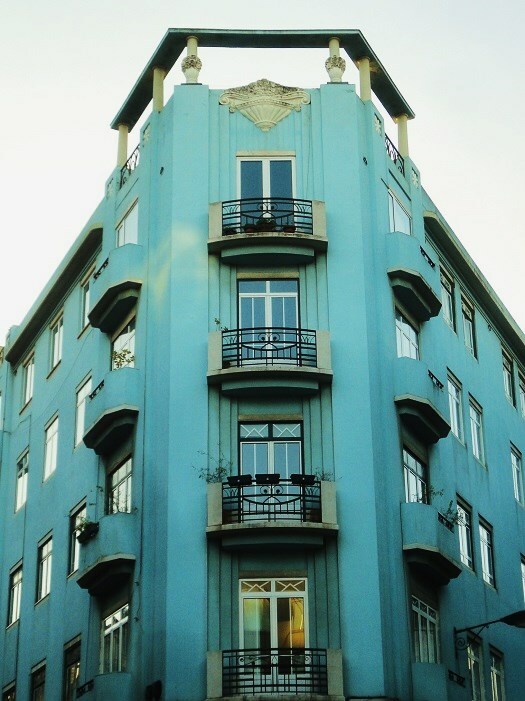 I really like the little balconies and the color! Great shot, Jose, as always!! Hope you have a wonderful weekend!! Enjoy!! This is beautiful but a coat of paint would make it even more so! Great-looking building! Nice view of the building, Jose. Cool. Yoe are standing just a right place to taking this photo. Beautiful and not too extravagant building. The balconies on the corner are very pretty, with their iron railings. What a pretty colour for such a large building. A very nice colour and I love the beautiful details. One day I hope to stay in a room with a view and a balcony. But most of all... walk slowly and explore the area.